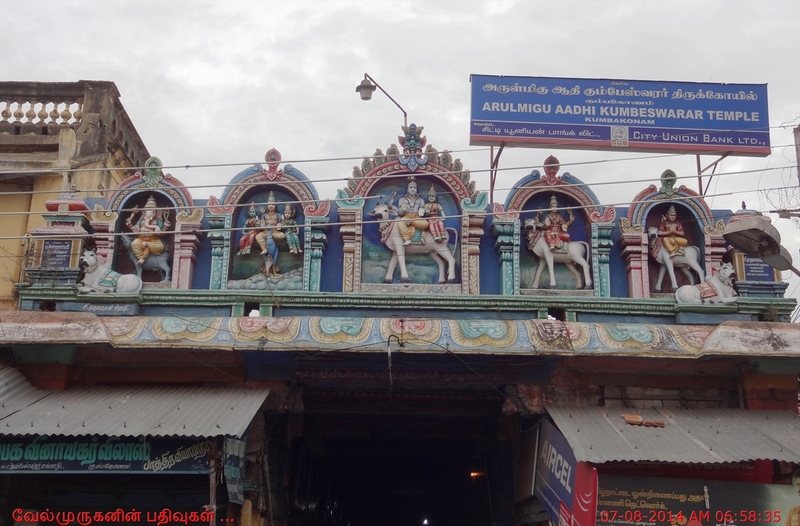 Adi Kumbeswarar temple is a famous Hindu temple dedicated to God Shiva located at the center of the Kumbakonam town. One of the famous Hindu festivals of Mahamaham is associated with this temple. This is the ancient temple for more than 1300 years old. 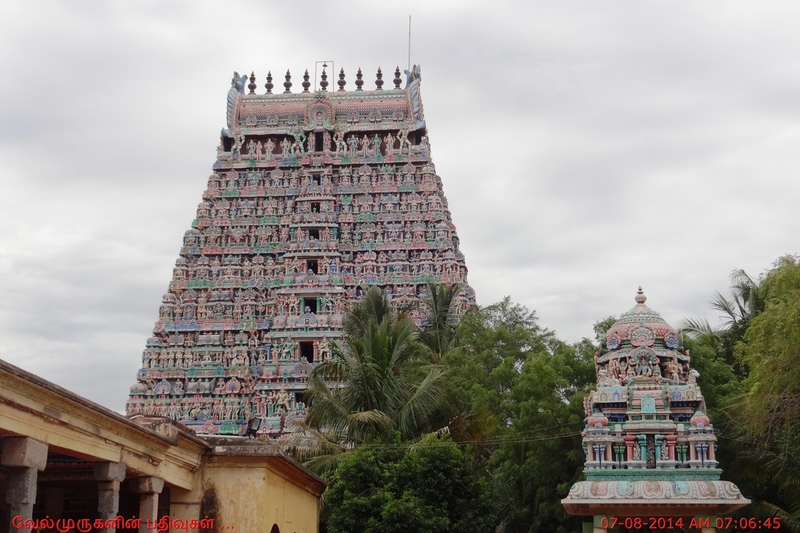 It is also one of the 127 temples on the southern banks of the river Cauvery. 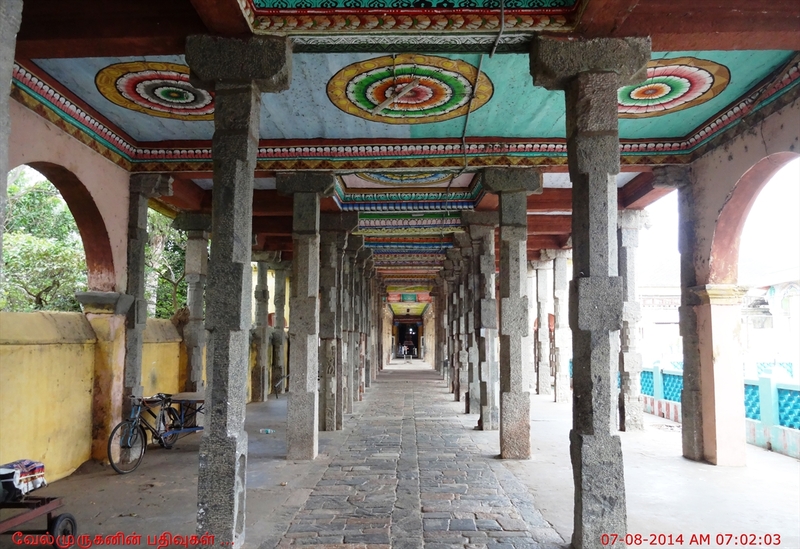 It is mentioned as, 'Thirukkudamooku' in 'Thevaram',at present it is called Kumbakonam. 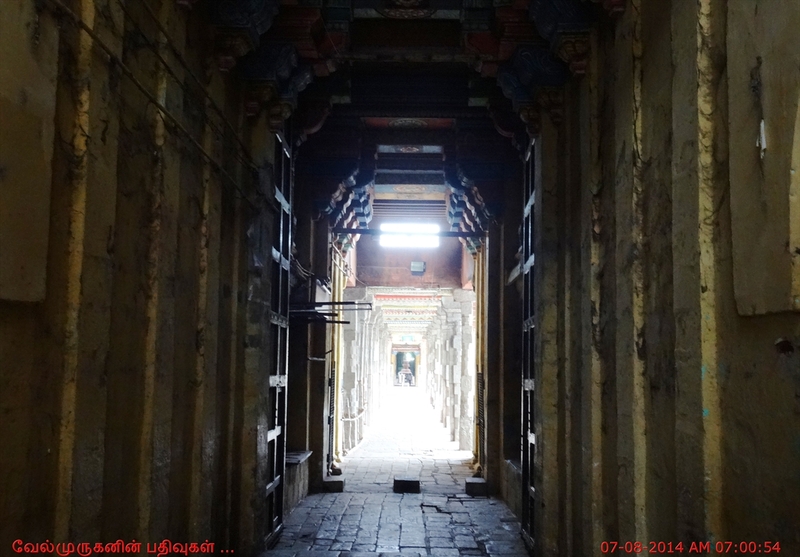 It is a prime temple amidst many temples in kumbakonam. The presiding Murti(deity) is 'Adhi kumbheswara' and His consort is 'Mangalambhika'. 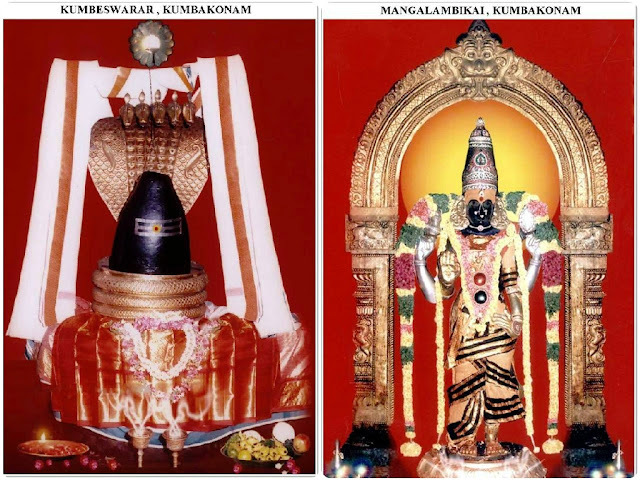 The Siva Linga is slightly tilted at the top towards left and hence the name kumbakonam (kumba means pot;konam means bend) and the deity kumbeshwara. During cosmic dissolution, a pot containing nectar (Amirta) was floating and lord Siva came in the disguise of a hunter and pierced the pot with an arrow ,thereby making the nectar to flow through it's nostril on all sides . Hence this place is named Kudamooku (kuda - pot; mooku - nostril or tip). The objects such as mango leaf,sacred grass (Tharppai),hoop (uri), Bell tree leaf (Bilva), coconut and the sacred thread (poonool) which adorning the pot fell into different places due to whirl wind. They appeared as Siva lingas and later on they became Siva temples. 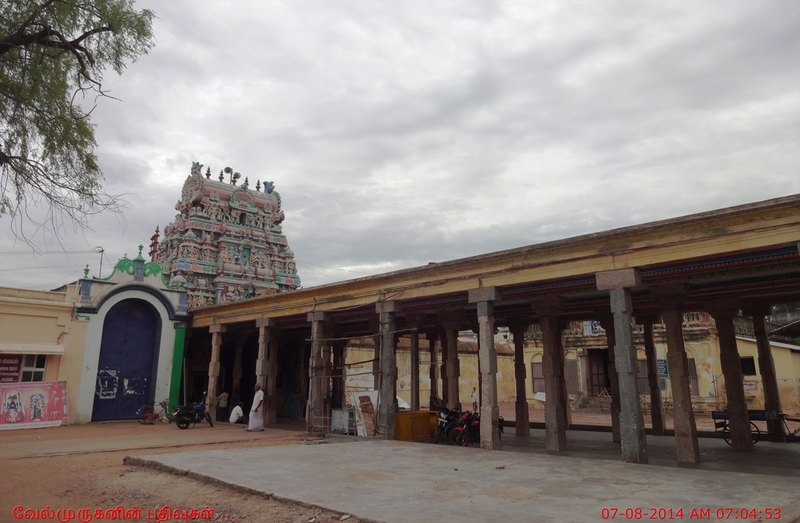 As per puranas the genesis of life happened by the the Thiru Vilaiaadal (divne play) of God Shiva here, and from here all the living beings orginated. Aathi (Origin) Kumbeswara swamy is the main deity of the temple Aathi Kumbeswarar. The Kumbeswarar (Linga) is on the form of conical lingam. The left of the main deity has another shrine for the goddess namely Mangalambigai. This temple outer prahara has an important shrine called as Kumba muni Siddhar. 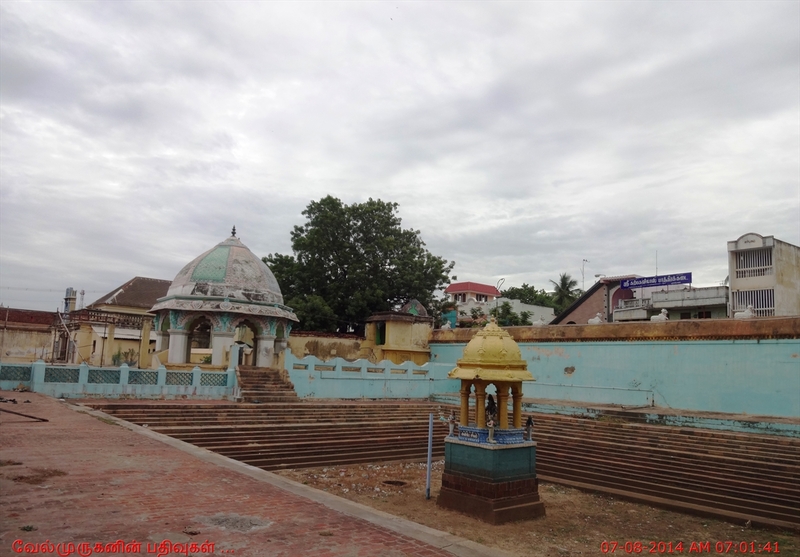 Aathi Kumbeswarar Temple located in Thanjavur main road of Kumbakonam city. 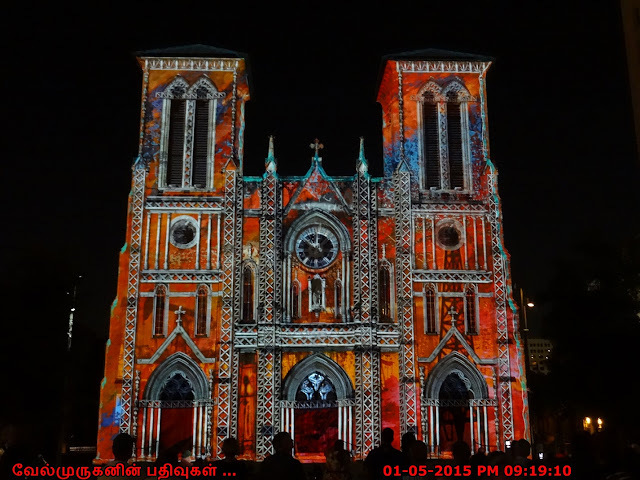 It is 2 km from Kumbakonam Bus Terminal. The bus stop is called "Mottai Gopuram" bus stop. Many town buses go via this bus stop. 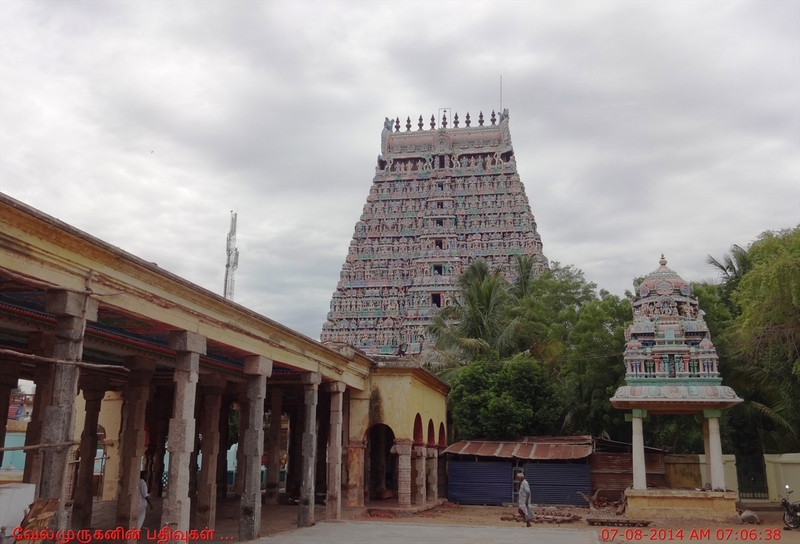 Near by temples are - Ramaswamy Temple, Someswarar Temple and Chakarapani temple.